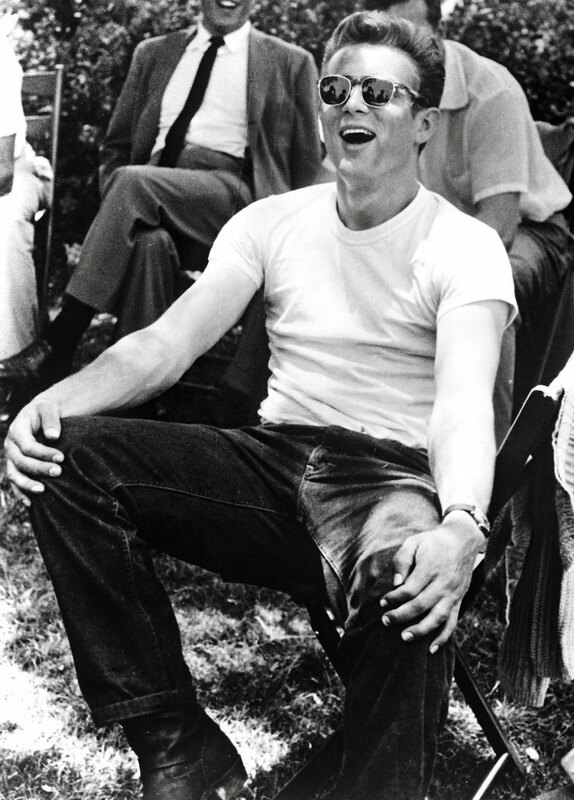 We’re big fans of a timeless look, and we can’t think of a better example of this than the style of James Dean. The actor from the 1950s was a cultural icon, and still remains as one of the best examples of someone who manages to make uncomplicated items of clothes look cool. 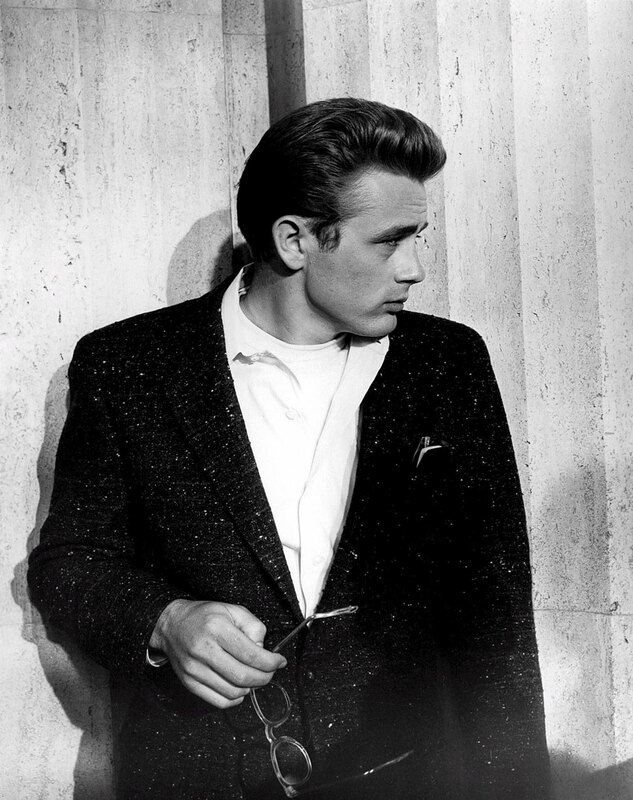 Instead of getting major style envy, we thought we’d put our energies into sharing some James Dean style tips instead. Before you know it, you’ll be a rebel without a cause too. Get your polo shirts ready for lights, camera, action! How to Replicate James Dean’s Style? 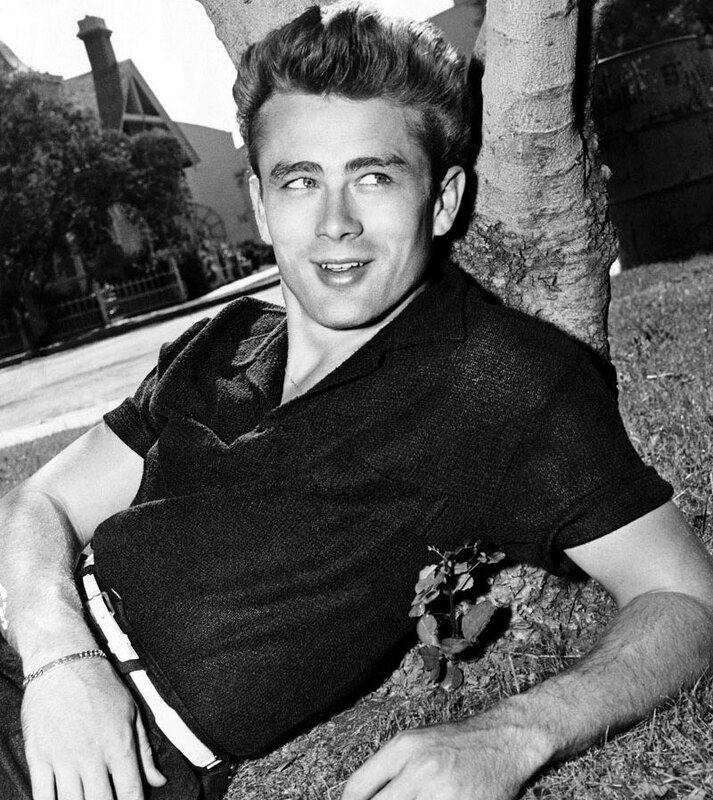 If you’re not familiar with the name James Dean, let us acquaint you. The American actor was born in 1931, and lived until the age of 24 when he was sadly involved in a car crash. Despite having a short life, he has had a long lasting impact after his death. He is most well-known for his performance in the 1955 film, Rebel Without a Cause, where he starred as a troubled teenager. This is ultimately what awarded him the title of being a cultural icon, due to the scenes of teenage disillusionment and social estrangement. Of course, he’s also known for other performances too. He played a loner in the 1955 film East of Eden, and a ranch hand in the 1956 film Giant. 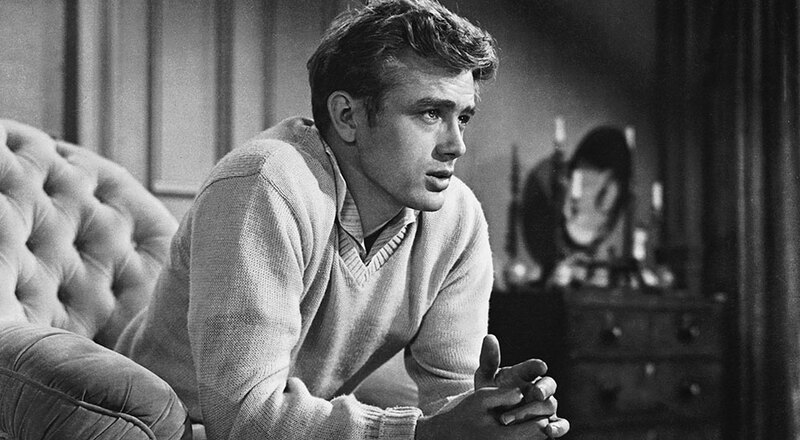 Acting aside, the other thing that James Dean is known for is his simple, yet classic, style. We’re talking as effortless as a t-shirt and jeans. But the thing that’s perhaps the most notable about his look is that he always managed to look incredibly neat and presentable with these ordinary items. This is worth noting, as it’s easy to let jeans and a t-shirt look a bit scruffy, but this never happened with the actor. Dennis Stock talks about his friendship with James Dean, and the road trip that resulted in the famous photo essay. With the right set of tips and tricks, you can steal the style of James Dean for your very own wardrobe. 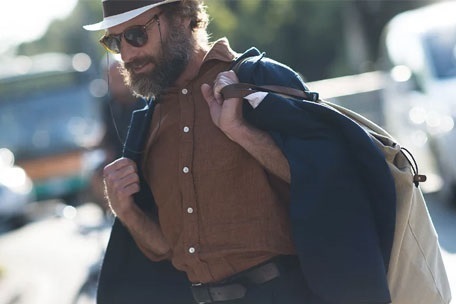 We know you won’t want to look sloppy with what you’re wearing, so we’re here to help you to turn those outfits featuring simple items into something special. So the question that remains is: how to replicate James Dean’s style? It’s all about the individual elements, and how you bring them together. We’ll go through all of the key pieces, and let you know what you can pair them with for the ultimate effect. We promise you a classic, but simple, look; just like the 1950s cultural icon himself. First up is the classic polo shirt. James Dean favoured these shirts in dark colours, and would often prefer to wear a block colour rather than a patterned top. He always managed to look polished in these polo shirts, even though they’re known to be a comfortable and practical item too. We think that the polo shirt is an essential wardrobe staple, so choose a darker shade if you want to get the authentic look of the 1950s cultural icon. We think that a navy Lanvin polo shirt in a slim-fit cut is the perfect example of a James Dean look, but you can find many other similar polo shirts in different colours. The one we love is made in Italy from cotton-piqué, and can be teamed up with so many other items of clothes. For the straightforward but sophisticated style you’re after, pair your polo with some high-waisted trousers, some loafers, and a braided belt. Next up is the plain white tee. This may seem like the most simple choice on offer in the male wardrobe, but it’s actually more complicated than it lets on. The first rule is that a white t-shirt must be crisp in it’s colour, so no faded examples are allowed! It’s also key to look like you’re wearing the top, rather than letting it look like it’s wearing you. By this we mean that you’ll want to avoid the baggy, slouchy effect, and instead choose a slim-fit tee. When you get it right, it’s a garment that will never fall out of style, meaning you’ll be bang on trend season after season, even when you’re channelling the 50s. 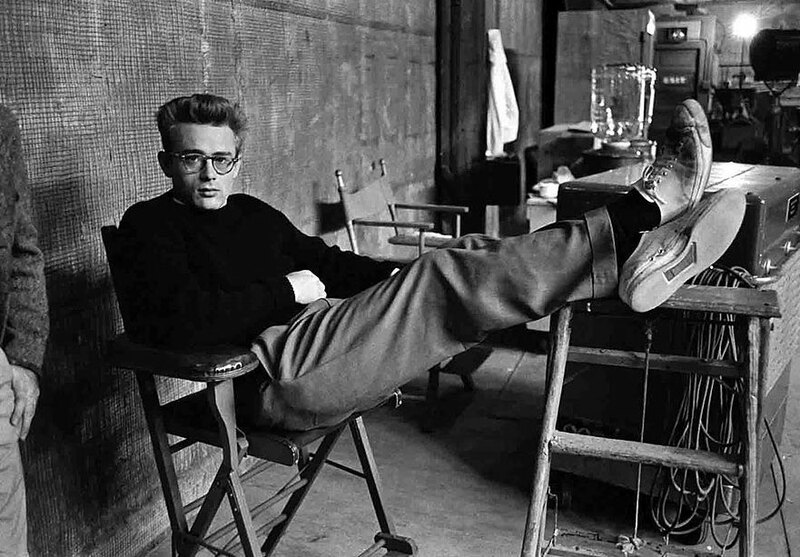 James Dean wore his white tee with high-waisted straight leg Levi's jeans and leather boots. You could also add some simple accessories such as a black leather watch and tortoiseshell sunglasses. 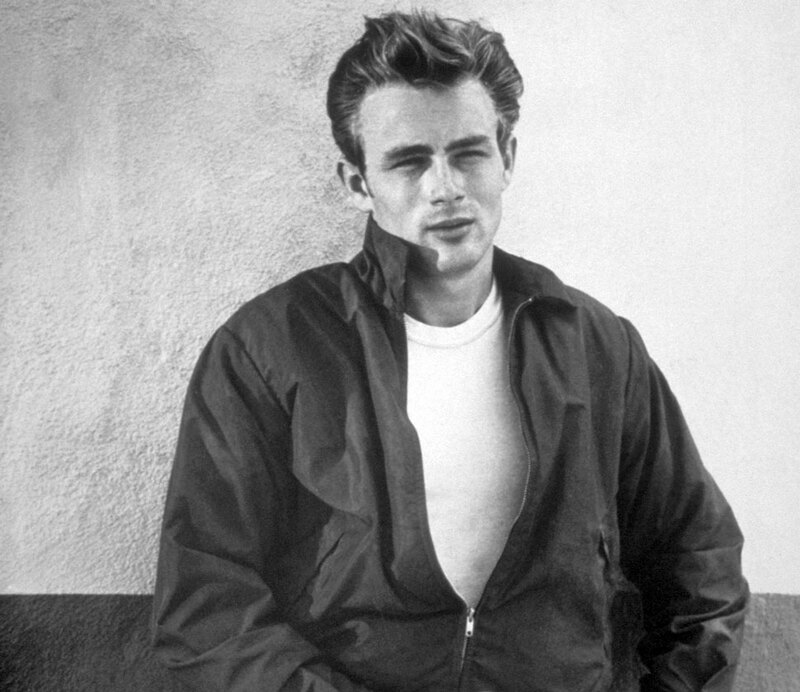 If you’ve sorted out your underlayer, whether it’s the polo shirt or the plain white tee, you’ll be ready to look into your jacket for the ultimate James Dean style. He was a massive fan of wearing lightweight jackets, and was known for wearing them off-screen as well as in the films he was most well-known for. Most notable was the red Harrington jacket he wore in his role of Jim Stark in Rebel Without a Cause. He also liked to wear lightweight suede jackets on his own accord. An easy way to give this the James Dean look is to pair your jacket with a brown-framed glasses, and matching brown leather shoes. Again, you’ll want to avoid anything too fussy or complicated when it comes to your jacket or your accessories, as it’s all about the effortless approach. He might have had film accolades and the title of a cultural icon, but James Dean can also be described as a master of knitwear! He wore a large selection of sweaters, and like the general theme of this article goes, he kept it simple. His go-to choices were either neutral or white coloured jumpers, most often in a v-neck cut. We know that not everyone is a fan of v-necks, but you could just as easily wear a crew neck if you prefer, although we dare you to try something new if you’re up for it. The perfect accompaniment to your jumper is a pair of chinos or jeans. James Dean would have worn his higher up his waistline, and also wore a straight leg much of the time. Tailoring has changed a bit since the 1950s, but you can still use these main points to get the look. It’s all been pretty easy to digest from this point, but now we’re going to say something a little bit more “out there”. To get the real James Dean look, you’ll need to find yourself a reliable blazer, but you won’t just be saving it for formal events. This is because he was a fan of wearing a blazer with most anything, and actually went out of his way to wear a contrasting top and bottom half; this means saying no to the traditional two piece suit, and instead playing mix and match. Most examples of James Dean fashion are all about block colours, and everything under the umbrella of simple and plain. Yet the blazer was the gatekeeper to a slightly more fun style; one that could give just a glimmer of something a bit more decorated hidden underneath. This is how he got away with wearing patterns; on a shirt underneath his blazer. By doing this, he never made the pattern the main part of his outfit, but instead just as a way to elevate the rest of what he was wearing. Aside from everything we’ve covered from the main parts of James Dean’s outfits, there are also the final touches which help to tie it all together. 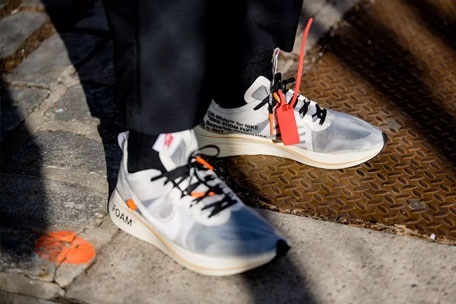 You’ve got the top, jacket and trousers, but what about the accessories and shoes? Perhaps unsurprisingly, all of the items that the icon chose were unfussy examples, and could easily be used from one outfit to another. That’s a general theme of the James Dean look; everything is multifunctional as well as simple, and can be worn again and again with small tweaks. His shoes were often leather boots or loafers; great to wear with anything from jeans to smarter trousers. He added plain leather belts to create a sharper look, to avoid looking too sloppy in his attire. 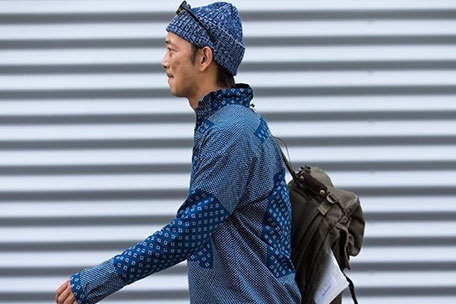 Matching glasses or sunglasses finished his look, so it’s worth remembering that it can be helpful to have more than one pair if you want to coordinate your eyewear with your outfit. Another point is that James Dean did not wear highly patterned clothes unless it was disguised under something plain, again reinforcing the style message that the simple approach to clothes can make just as much of an impact as bolder ones, in a more muted way. He would most frequently be seen in block colours, but also managed to look incredibly cool in a monochrome stripe. You can incorporate this idea into your polo shirt or jumper for a bit of variation; just remember to keep the rest of your outfit as neutral and coordinated as possible. 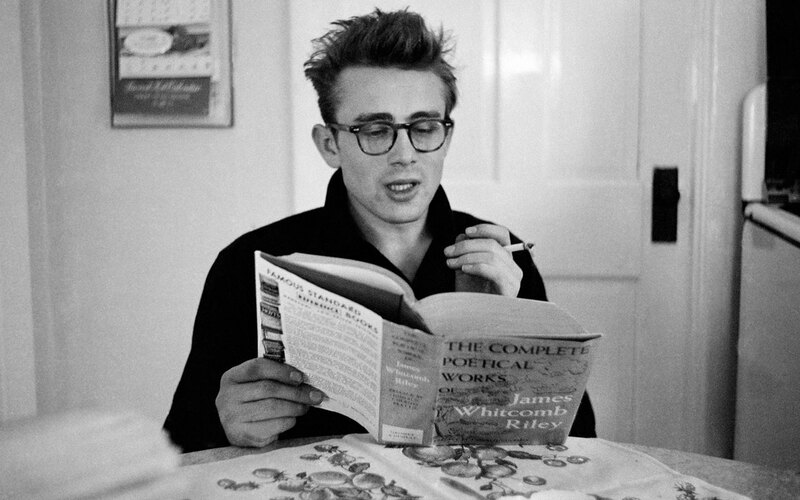 We can’t talk about James Dean without quickly covering his hairdo, as this was such as big part of his look. Copying his hair style would complete the whole image, and we wouldn’t blame you if you wanted to do it; after all, who wouldn’t want to look like James Dean? His hair was what we would call classic and clean; it’s just a simple quiff but he pulled it off with such ease. The best way to get his style is to have similar length hair, and then tease your quiff into place using a comb and a hairdryer on a low heat. Having a bit of product and hairspray handy is helpful too, but don’t go too overboard of you’ll ruin the low key effect. Wear a dark polo shirt in a block colour and pair it with high-waisted trousers, brown loafers and a braided belt. Choose a slim-fit plain white tee and pair it with some straight leg jeans like Levis, and add leather boots, a watch, and tortoiseshell glasses. A red Harrington jacket is the go-to James Dean look, but a simple lightweight jacket can give you the same effect. Find a neutral or white v-neck jumper, or opt for a crew neck if you prefer. They’re perfect with chinos or jeans. Don’t just keep your blazers for formal events; James Dean made them a daily wardrobe staple, and wore them with many outfits. Embrace the simple monochrome stripe when you keep the rest of your outfit as simple as possible. Use your hairdryer and a comb to set your quiff, and add a bit of sculpting hair product to keep it in place. We think that the James Dean style is one of the coolest looks out there, and we love how it doesn’t look too smart or too casual, meaning it’s perfect for everyday wear. When you pull together the components that we’ve covered in our article, you’ll be able to turn heads wherever you go too (especially if you go all out and get yourself a red Harrington jacket!). If you’ve got yourself a white t-shirt, lightweight jacket, and leather accessories handy, you’re already well on your way. But don’t be afraid to try out some of the braver pieces James Dean was known for such as the monochrome striped polo top, or the everyday blazer. After all, you’ll have a lot of fun wearing the James Dean style, and we promise you’ll always be ready for action when you’re dressed just like the iconic actor.